S. Sara Monoson is the author of Plato’s Democratic Entanglements: Athenian Politics and the Practice of Philosophy which was awarded a Foundations Book Prize by the American Political Science Association, as well as numerous articles on Greek political theory in historical context and classical receptions in the US, especially the history of adaptations of Greek sources and ideas in American political discourse (e.g., on abolition, free speech, the cold war, civil rights). Her current research includes studies of Socrates’ military service in light of contemporary understandings of war trauma and PTSD and a book in progress, Socrates in the Vernacular, on the uses of the story of Socrates n 20th and 21st century popular media. 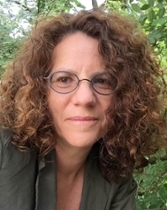 She also directs the collaborative "Classicizing Chicago Project: a local history of classical antiquity," (http://classicizingchicago.northwestern.edu) and is a founding director of the Research Workshop in Classical Receptions at the Kaplan Institute for the Humanities. See my newest publication (January 2016) on Socrates' Military Service.